Jessica recently changed the name of her business, and was planning a move to Dallas, Texas. The change inspired her to completely redesign her website with new business branding. She has a very defined feminine style about her photography, with a bit of southern charm, which matches her personality perfectly. 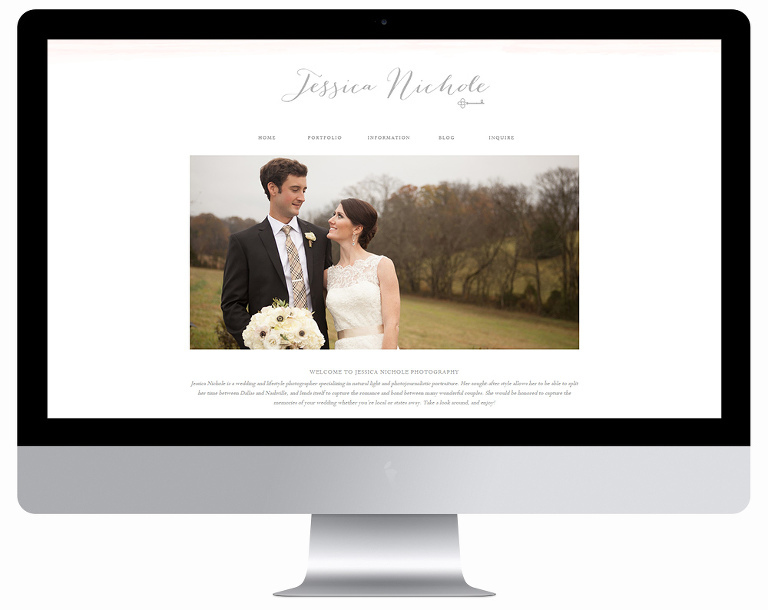 Jessica wanted a simple, elegant brand and website. Jessica’s inspiration board was filled with gorgeous creme tones with pops of pink, vintage keys, textures, and had a very romantic feel. I created a color palette of creams, grays, and pale pinks for her brand. I incorporated the vintage key along with a handwriting inspired font into her logo. As we worked on versions of the mock ups for her website, I noticed it kept getting more and more delicate of a look. I must admit I absolutely love the finished design. Be sure to visit the site, to see the subtle elements and how the design comes together.